Demolition projects and remodels come with lots of waste. Moreover, that trash can pile up quicker than you might think. That’s why it’s essential to develop a junk removal plan before the garbage gets out of hand. Renting a dumpster in Las Vegas proves much easier than taking countless trips to the dump and when you factor in time, mileage, gas costs, and dump fees, it can prove cost-effective. 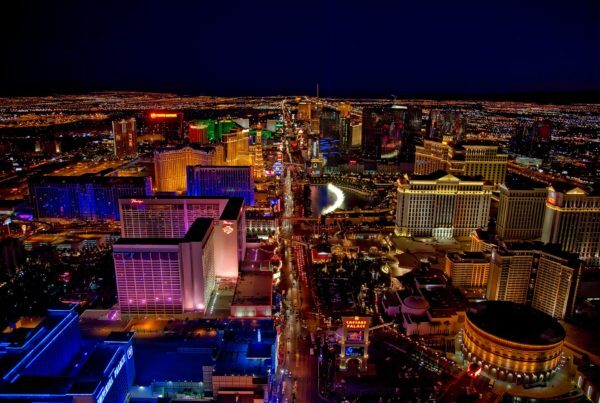 So, how much does it cost to rent a dumpster in Las Vegas? Although costs vary from business to business, let’s take a look at national averages, associated fees, and important factors to consider. While prices may vary, the national average price for a 10-yard dumpster typically starts around $350, while Junk Control’s 10-yard dumpster is only $295. These dumpsters prove great for light demolition projects and hold approximately three pickup truckloads. For 20-yard dumpsters, prices start at around $425, and Junk Control’s 20-yard dumpster is only $365. These dumpsters are well-suited for mid-range projects with a medium accumulation of trash. They hold 20 cubic yards of waste or about six pickup truckloads. Finally, 30-yard dumpsters start around $500, and Junk Control’s 30-yard dumpster is only $395. This is the size most commonly used for the removal of construction debris. They hold the equivalent of nine to 15 truckloads of garbage. Besides the baseline costs outlined above, some other variables can affect the cost to rent a dumpster in Las Vegas. Let’s start by discussing how long you plan on keeping that dumpster. Most companies charge by the week. That means no discounts even if you only need it for 24 to 48 hours. You see, the delivery and pick up expenses associated with the dumpster rental remain the same for the company you work with, no matter how short the timeframe. However, what happens if you need the dumpster for more than a week? Because it’s already delivered, extending out the amount of time you keep the dumpster doesn’t cost nearly as much. National averages fall in the $10 per day range. As you narrow down which type of dumpster you’d like to rent and for how long, here are a few questions to ask before setting up the rental. These factors can impact your dumpster rental cost. Ask the company you’re speaking with about dump fees. While these should be included in the overall price of your rental, don’t assume anything. Dump fees vary based on your local economy, so ask ahead, or you risk a nasty surprise. Inquire about which dumpster sizes are available in your area. This can vary from city to city and even neighborhood to neighborhood. Get specifics before you start making plans. Clarify which types of trash are permitted in the dumpster. Some trash (like paint, batteries, and computers) are considered hazardous waste and prohibited from dumpsters. Disposing of this trash in a dumpster will lead to steep fines. There are also other types of trash that aren’t necessarily prohibited but could still lead to extra fees for disposal. So, make sure you hash out all of these particulars in advance. Finally, speak with the dumpster rental company about the necessary permits associated with a dumpster rental in Las Vegas. You should also contact your HOA to learn more about their requirements for placing a dumpster in your driveway or street. There are a variety of factors that can affect the cost to rent a dumpster. So, do your research and ask lots of questions before agreeing to a dumpster rental delivery. Still not sure where to start when it comes to waste removal? We’re here to help! 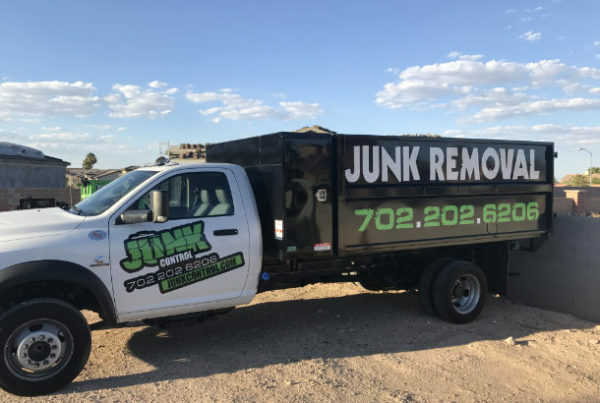 Contact Junk Control today to discuss your options and to schedule your junk removal or dumpster rental in Las Vegas, North Las Vegas, and Henderson, NV. Junk Control is the highest quality and most affordable dumpster rental company in the area. With over 66,000 jobs completed and having been in business for over ten years, you can place your trust in Junk Control! Previous PostJunk Removal: How does this work?